The Florida Consortium for International Education is comprised of a team of leaders from several state community colleges and universities. 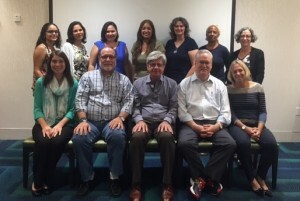 The goal of the FCIE Executive Committee is to promote international and intercultural education in Florida’s institutions of higher education. If you are interested in becoming a committee member, please contact us! AnneLiese Busch has a BA in French and History and a BS in Political Science from Santa Clara University, and an MA in International Affairs from New York University. She lived in Lima, Peru from 2009-2015, where she was the director of the Center for American Education at the Universidad San Ignacio de Loyola and the dean of Broward College in Peru. She administered the AA degree program offered through Broward College, the BS degree program in Business Administration offered through USF, the BS degree program in Hotel and Restaurant Management offered through the University of Houston, the BS degree program in Industrial Engineering offered through the University of Central Florida, and several bachelor degree programs in business offered through the University of London. She also served as the director of internationalization at the Universidad de Ingenieria y Tecnologia. She is now the director of the Center for Global Engagement at Seminole State College and looks forward to growing the center to incorporate additional opportunities for international study and travel for Seminole State College students. AnneLiese is currently pursuing her doctorate in Higher Education Administration and Leadership with Colorado State University and hopes to graduate in 2017. At Broward College David is responsible for the creation and development of academic affiliations, articulations, and exchanges with colleges and universities overseas, as well as overseeing study abroad programs. He also serves Broward College as the liaison to the Commission on Colleges of the Southern Association of Colleges and School (SACS). 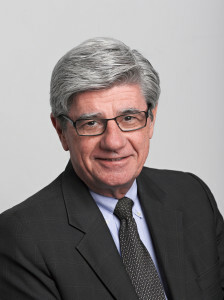 In a career in education that began as a classroom teacher of social studies in 1977, Dr. Moore moved to the collegiate level as an administrator in 1981. He has spent the last 34 years in college level academic administrative positions. He served as the Vice-President for Academic Affairs at Clearwater Christian College (CCC) in Clearwater, FL for 17 years before moving to St. Petersburg College (SPC) to serve for five years as the Director for Dual Credit and International Studies. Under his tenure, the program added student enrollments and study abroad destinations and developed a collegiate high school. David holds a B.A. in Education from CCC, and both the M.A. in History and Ph.D. in Higher Education Curriculum from the University of South Florida. 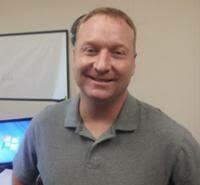 Jerry Hensel, professor of Information Technology, has been highly involved in study abroad at Valencia. He has led study abroad trips to Spain and Brazil, and facilitated faculty workshops. It was very exciting for him to see how other people use technology around the world, and how technology plays a role in European and South American businesses. Many of the students that participated in these trips returned home with a new appreciation for the technology available in the United States. 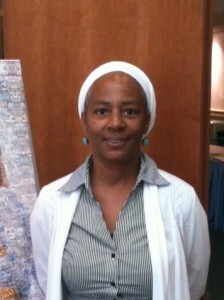 Dorothy McCalla is an Associate Professor of Humanities and English at Eastern Florida State College. She began her interest in international education working with a non-governmental organization specializing in sustainable development in sub-Sahara Africa. She currently coordinates college-wide study abroad opportunities as the Program Manager. She is a faculty adviser for the Core Scholar Peer Tutoring program, a member of the College-Wide Task Force for Diversity and Equity, and a member of the Academic Diversity Committee. She has studied at Howard University and holds a Master’s degree in Liberal Studies from Rollins College. She has been involved with FCIE since 2012 and helped plan the 2015 Annual Conference last year. I believe my continued membership on the Executive Committee of FCIE will provide the continuity the organization will need as it continues to grow. As an Executive Committee member, I would like to see FCIE continue on this path of providing a forum beyond the annual conference whereby member institutions can work collaboratively to achieve comprehensive internationalization. 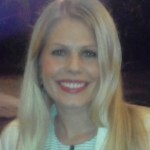 Barbara Prucha has over 17 years working in international education, and is currently the Coordinator of Education Abroad & Student Exchange in the Center for Global Engagement at Seminole State College of Florida. In this role, Barbara works with department deans and faculty to create, plan, and coordinate faculty-led programs, including multi-year service learning programs. Barbara is also in charge of outgoing and incoming student exchange programs that the College offers. 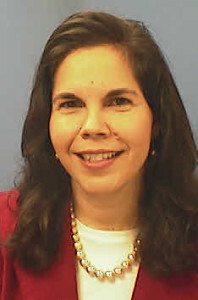 Carol Reyes is the Director of Global Programs at Miami Dade College, the largest and most diverse college in the U.S. Prior to joining MDC, Carol worked for the Foreign Fulbright Program at the Institute of International Education, the Office of Global Programs at New York University and the U.S. Department of State’s Education USA offices in Taiwan and Mexico City. She holds an M.A. in International Education from New York University and a B.S. in Journalism with minors in French, Portuguese and Latin American Studies from the University of Florida. 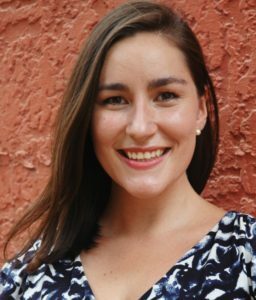 Carol is also a former Fulbright English Teaching Assistant to Taiwan (2009-2010) and a recipient of the Fulbright U.S.-Germany International Education Administrators Award (Germany & Belgium, 2018). 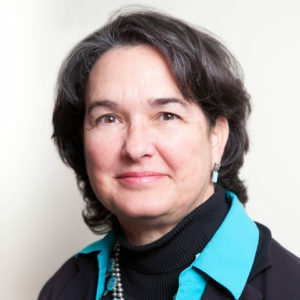 Dr. Fuentes serves as the Assistant Vice President for Academic Affairs at Santa Fe College where she provides leadership for the College’s baccalaureate programs as well as its international education, sustainability, and civic engagement initiatives. She earned a Ph.D. in political science from the University of Florida in 2003 with a regional specialization on Latin America and an M.A. in International Studies from Florida International University in 1997. Dr. Fuentes began teaching at Santa Fe in 2003 and earned a NISOD Excellence in Teaching Award in 2008. She has been an active participant in two Undergraduate International Studies and Foreign Languages (UISFL) grants from the U.S. Department of Education which helped internationalizing the curriculum at Santa Fe and provide faculty professional development. She also directed a Fulbright Scholar-in-Residence program from 2014-2015 and helped host three additional Fulbright scholars during her tenure at Santa Fe. Dr. Fuentes is co-directing two U.S. Department of State grants in partnership with Florida State University: a Community College Administrator Program with Indonesia (2014-2015) and a Community College Administrator Program with Multiple Countries (2014-2017). She has led study abroad trips to Honduras, Guatemala, Germany, Poland, and the Czech Republic. She was co-director of Santa Fe’s SACS-COC Compliance report from 2011-2013 which eventually resulted in the reaffirmation of accreditation. Donald R. Matthews, Jr. is currently a consultant for the Community Colleges for International Development consortium (CCID) and Intercultural Education Programs in Brazil. He was the Director of Planning (June 2011 – July 2012) at Daytona State (DSC) as part of the Institutional Effectiveness efforts of DSC responsible for implementing the college’s unit planning software, Strategic Planning on Line and assessed the unit outcomes of the various departments at the college for the upcoming SACS accreditation visit in 2013. He also was part of the team that developed the college’s Quality Education Plan focusing on student engagement, and the first year experience. He was Associate VP for Global Education & Affairs, Director at the Center for International Business Education, and Co-Director for the Florida Caribbean Institute at Florida International University and DSC (where he coordinated global education initiatives). He served as a Peace Corps volunteer, and as a recruiter at the University of Florida. He was active in Scholar-in-Residence, Latin American Fulbright Program, the Office of Education and Cultural Affairs, and the US State Department. 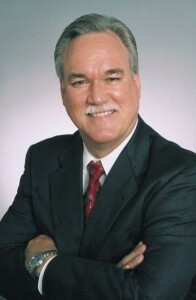 He was the International Education Director at Bunker Hill Community College and CCID International Programs Director. He was an adjunct instructor at Daytona State College and Santa Fe College, and a full time instructor at Trident Technical College. He received the Werner Kubsch Award for outstanding lifetime achievement in International Education at a Community College, February 2004. He earned his BA degree in history and political science from Presbyterian College, and his Master’s degree, PhD in Higher Education Administration & Supervision, and Certificate in Latin American Studies from the University of Florida. Susy Gomez is the Associate Director at the Office of Study Abroad at Florida International University (FIU) in Miami, Florida, a Hispanic Serving Institution. 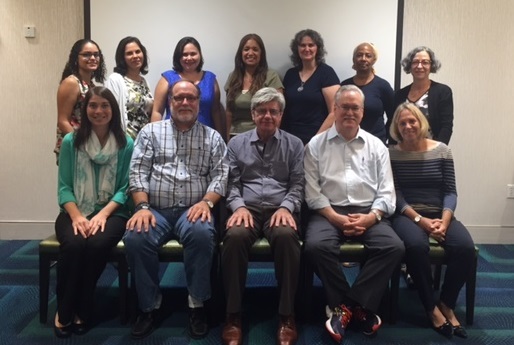 Susy works with FIU faculty members throughout the study abroad program development and proposal process, as well as with students going on FIU Study Abroad programs. 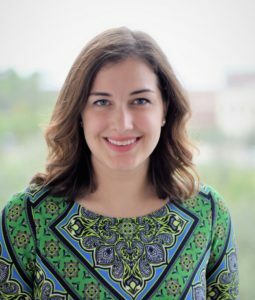 As the Fulbright Program Advisor, Susy offers guidance and support to FIU students applying to the Fulbright US Student Program. She is dedicated to student success and access and has served on the Gilman National Review Panel and as a Gilman Selection Panelist. 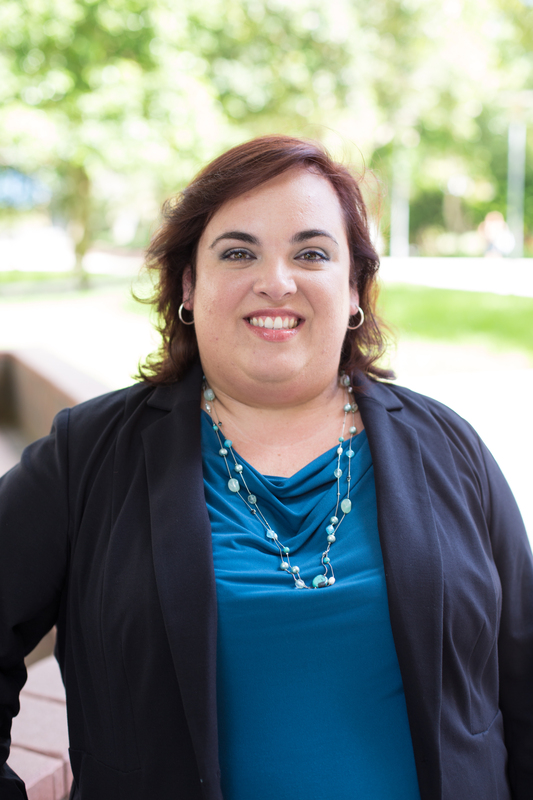 Susy holds a Bachelor of Arts in Psychology and a Master of Science in Education, both from the University of Miami, and she is currently pursuing her Ph.D. in Higher Education at Florida International University. In addition to a few years in the field of counseling, she has years of experience in higher education, particularly with international students and study abroad programming. She has traveled throughout the Americas and Europe and participated in a mission trip to Australia. Oliver McSurley is the current Assistant Director for Study Abroad at the University of Central Florida. He is responsible for the management and strategic development of all student mobility initiatives at the university. Additionally, Oliver is a member of the senior leadership team for the International Affairs and Global Strategies division, a member of the university-wide International Affairs Committee, and an active participant in meeting UCF’s vision for comprehensive internationalization. Prior to coming to UCF, Oliver worked as a Senior Program Manager for the Education Abroad Network, a study abroad provider organization based in Chicago. In this capacity, he was responsible for managing all phases of programming for study abroad opportunities in Australia and China for that organization. Oliver’s passion for international education and global citizenship is rooted in his own study abroad experience at the University of Queensland (Brisbane, AUS) in 2002. Upon returning home he completed an undergraduate degree in History (University of Illinois-Chicago) and a Masters in Education (DePaul University), after which time he taught at the secondary level on Chicago’s south side. A Pennsylvania native and University of Central Florida alumna, Rebecca Cerullo is proud to return to her alma mater. In her role of Coordinator at UCF Abroad, she assists faculty, staff and students to manage all aspects of faculty-led study abroad programs. She also oversees the department’s social media and student organization. Rebecca believes in the power of going abroad as a student because she experienced it first-hand. Having completed a management internship at the Cannes International Film Festival in France, she is excited to share her life-changing experience and encourage students to do the same. With a B.S. in Hospitality Management, Rebecca brings her destination management background and enthusiasm to connect UCF students to programs that meet their academic, personal and professional goals. An innovative higher education administrator and multiple Fulbright grantee who has worked within institutions of higher education for over 18 years. Currently Senior International Officer (SIO) at SPC responsible for administrative and fiscal oversight for college-wide internationalization across 12 campuses/learning centers serving more than 30,000 students. Portfolio responsibilities include international student services, study abroad, curricular and extra-curricular development, and international partnerships. Focus in leading strategic and sustainable initiatives is to not only encourage inquiry, curiosity, open-mindedness, and collaboration but also prepare students to be successful in an interconnected and diverse world. 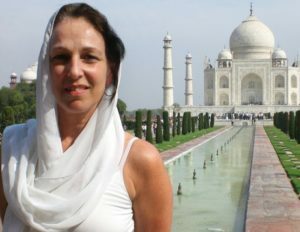 Has received three Fulbright awards (two in Austria and one in India) and traveled to over 30 countries. This has honed proficiency in leading individuals and stakeholder groups with diverse identities and backgrounds, including leading educational delegations abroad and moderating panels at international conferences around the world. Educational background includes an EdD in Educational Leadership and Management, an MA in History and a BA in Letters (History, Philosophy, Literature and Languages). Has served on IIE Fulbright Peer Review panels, and is currently serving on the Executive Committee of the Florida Consortium for International Education (FCIE) and as board member of StudyFlorida. I am a full-time professor of Spanish at Polk State College and an adjunct professor of both Spanish and ESL/EAP at Valencia College. At Polk State College, I currently serve on the International Education Committee. I first joined this committee while serving as Professor of ESL/EAP. However, 2 years ago, I transitioned into Foreign Languages and lead my first Study Abroad trip last year. I plan on leading a trip every year in order to provide wonderful travel opportunities for our students and community. Approximately 6 or 7 years ago, I had the pleasure of serving on the Steering Committee at Valencia College under the supervision of Jennifer Robertson. My contributions to FCIE will consist of being a liaison between colleges, learning more about the mission of FCIE, and perfecting my role as a leader in international education.